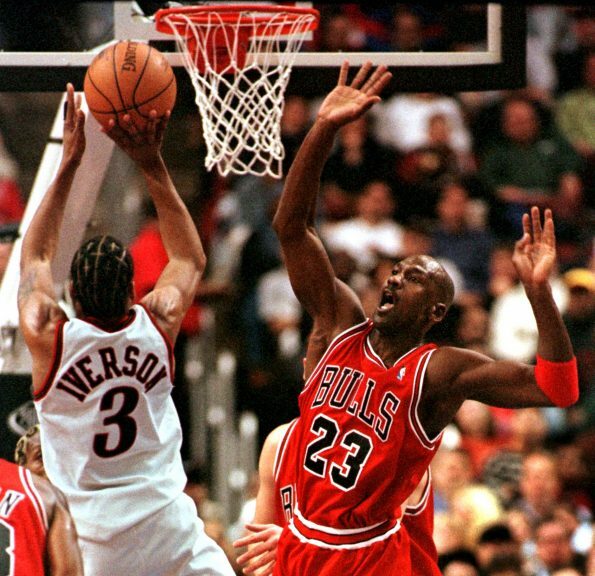 Allen Iverson was no doubt an elite basketball player in his prime. The hall of famer and Philadelphia 76ers all-time great recently released his story with the Players Tribune and told stories about former teammate Larry Hughes and showed much love to Michael Jordan when it came to the conversation of whose better between him and LeBron James. Over the past few years, many have argued that Los Angeles Lakers superstar LeBron James has surpassed MJ as the greatest of all time, even though he doesn’t have the ring collection to back it up. “First of all, I love LeBron. I have nothing but love for LeBron. That’s the best player of his generation, one of the best ever, a great husband, great father, great role model, and it’s even beyond that: What he’s doing with that school in Akron?? It’s a beautiful thing. “We’re talking about Mike, O.K.?? The answer played against both Jordan and James, something not too many players can say, so he’s definitely qualified to chime in on the conversation. Jordan has the edge over James in championships (6-3), MVP awards (5-4) and NBA Finals MVP awards (6-3). As far as his own accomplishments, AI might not have a ring, but he does have 11 all-star selections, four scoring titles and an MVP award to his credit.